Join 2e Systems for the AGIFORS Crew Management SG Meeting 2019 in Mexico City. We are happy to announce our participation and we are looking forward to giving a technical presentation. Please visit Maja Tarle & Phil Douglas in the exhibit area. We wish you and your loved ones joy, peace and cheer for the holidays, and good health and prosperity for the coming year. 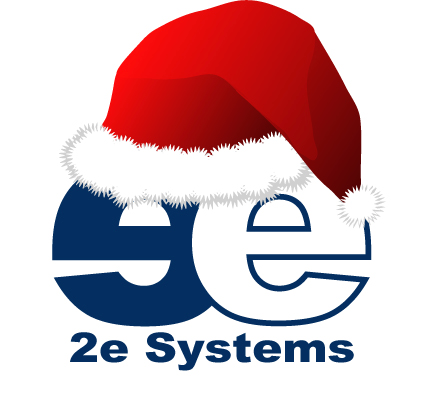 Happy Holidays from everyone at 2e Systems! Wir wünschen Ihnen und Ihren Lieben, Glück, Frieden und Freude für die Feiertage, sowie Gesundheit und Wohlstand für das kommende Jahr. Schöne Feiertage von uns allen bei 2e Systems! 2e Systems is seeking a driven and enthusiastic graduate, mid-level or senior Java developer to join our global product development team. 2e Systems is a highly versatile computer engineering and development company specializing in online booking, eCommerce, mobile and communication solutions for the airline and travel industry. We develop and operate critical systems for airline customers worldwide. Our head office is in the Frankfurt area (Bad Soden am Taunus), our software development group is central to our success, and we are looking for the right candidate to join either our Frankfurt, London, Dublin or Zagreb offices. If you would like to be part of our success and are looking for a challenging job, working with a team of experienced engineers, we welcome your application! 2e Systems is seeking a steady hand to bring order to the chaos in our small but critical Sysadmin group. 2e Systems is a highly versatile computer engineering and development company specializing in online booking, eCommerce, mobile and communication solutions for the airline and travel industry. We develop and operate critical systems for airline customers worldwide. Our head office is in in the Frankfurt area (Bad Soden am Taunus) but our second biggest office is in Zagreb. Ideally we want someone to relocate to Frankfurt, Germany or Zagreb, Croatia. Remote work possible, but you know how it goes - out of sight, out of mind. But if you’re confident you can work efficiently whilst remote, we can talk as long as you don’t mind occasional visits to Frankfurt per year. We don’t really have an HR department screening the applications, all of them will be read by your future boss, so please don’t be a serial applier, write something dorky! Please include a brief cover letter explaining why you are a good fit for the job and which locations you would like to be considered for. 2e Systems is seeking a driven and enthusiastic graduate or mid-level Front End / GUI developer to join our global product development team. Our head office is in the Frankfurt area (Bad Soden am Taunus), our software development group is central to our success, and we are looking for the right candidate to ideally join either our Frankfurt or Zagreb offices. Other locations may be considered.